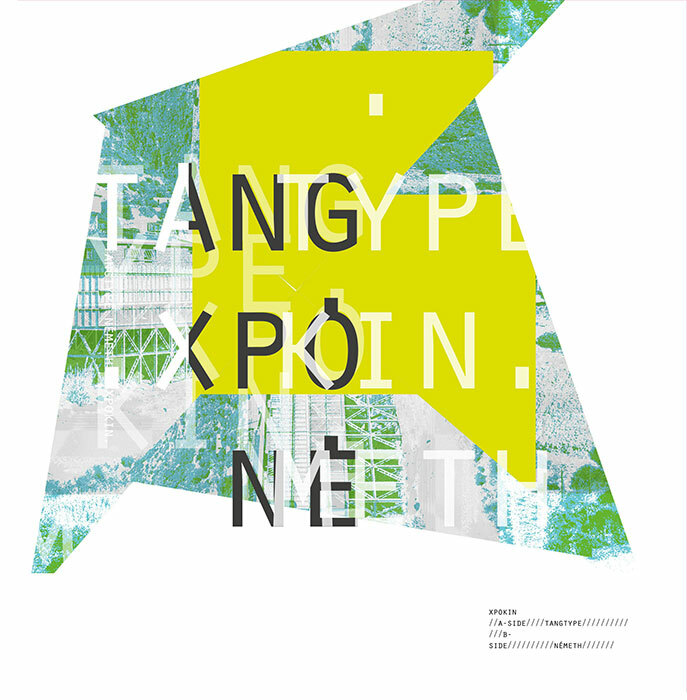 For its second release Sonotope takes an excursion into song-orientated terrain and features the Belgian duo Tangtype in a collaborative limited-edition 7″. Side A hosts Tangtype ́s version of the track XPOKIN, which is a re-interpretation of the original from the album “Trajet” (released on Humpty Dumpty Records in early 2015). While being close to more conventional song structures, the backbone of XPOKIN is made up of meticulously placed snips of acoustic guitars, percussion and synthetic elements. Longer samples of studio material are put together in such a way that one could talk about an organic puzzle of sounds, where breakpoints, joints and loops are either elegantly blended together, or deliberately revealing the joyful process of splicing and investigating the source material. 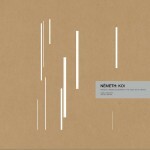 This has been to a great extend characteristic for the work of Tangtype, but in contrast to their earlier music the overlaying form has become easier to trace, building up a coherent unit being refined by Cambier ́s vocals.For side B Németh (Innode, Lokai) takes a more minimal approach and starts the track with a bare drumpattern, which subsequently gives much space to the voice. A distillate of the original, processed and new guitar parts instantly drive the song in a different direction. This reworking showcases his affinity for gentle ambient drift and skittering beats, insufflating a unique imprint in the chant.